The Spectrum Oakmont 36 in. x 80 in. 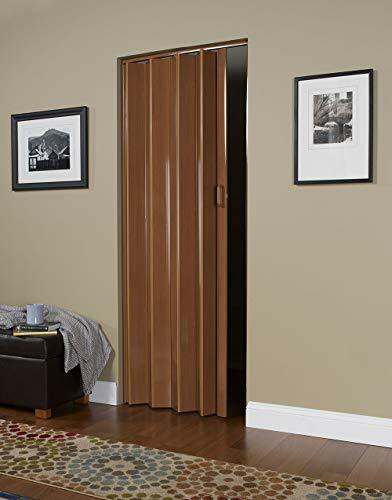 Vinyl Espresso Accordion Door fits openings 24 - 36 in. wide and comes with track, hardware and easy-to-follow installation instructions. The durable, maintenance-free vinyl panels have a scratch- and UV-resistant espresso finish. The door trims easily to any height and has reversible handing for flexible installation options. You can also install this door paired with a second, identical door (not included) to make a double door. The Spectrum Horizon 32 in. x 80 in. 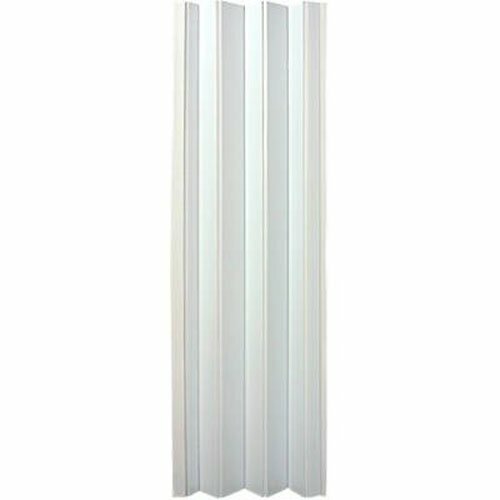 Vinyl White Accordion Door is made of decorative, durable plastic slats woven with matching binding cord. It fits openings 24 - 32 in. wide and comes ready to install with track and hardware included. 2 of these doors can be installed side-by-side to create a double door for wider openings. Add the natural beauty and warmth of wood to your home with our solid pine bi-fold doors. The plantation 2" wide decorative louvers give the doors a modern, clean style. The doors are durable, made of solid pine, and are easy to install (hardware is included). Our bi-fold doors are unfinished and can be painted or stained to match your d cor, or can be left unfinished for a beautiful, natural look. The doors are constructed from solid pine from environmentally-friendly, sustainable yield forests. The high-quality vertical grain delivers the best appearance and performance. The Malibu folding door fits openings from 24 to 36 wide by 80 high. This door is available in Oak and White, two classic colors that fit into many different room settings. The Malibu can be made into a double door by using two single doors. Panels can also be removed for added sizing flexibility. 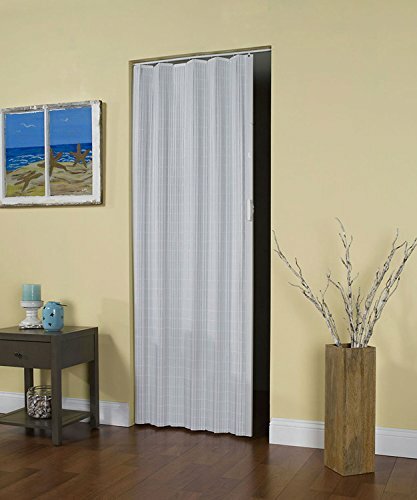 Malibu doors are constructed with double wall vinyl panels with flexible hinges. Add the natural beauty and warmth of wood to your room with solid Pine bi-fold doors. In addition, the plantation wide louvers and double hip panels give the doors a modern clean style. The doors are durable and easy to install with the included hardware and tracks. 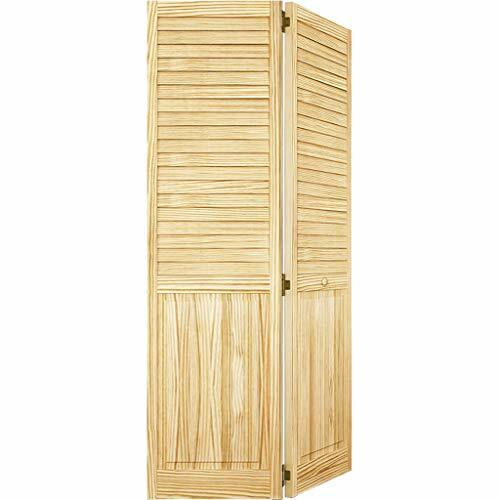 LTL HOME PRODUCTS CT3280TL 24-36X80 FOLDING DOOR From the Manufacturer Contemporary styling and unique, make Contempra an excellent choice. Embossed surface with color chips permanently imbedded in door is durable and maintenance free. 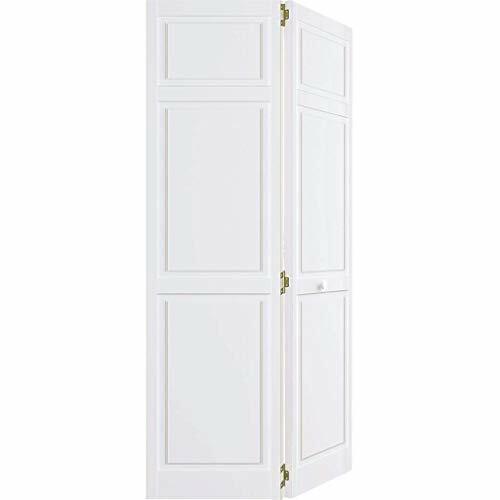 With a safe non leaded vinyl formulation, these solid vinyl panel doors, made with flexible vinyl hinges, Contempra fits openings from 24 inch to 36 inch wide by 80 inch high. May be installed as a double door. 36 inch of track and all hardware are included. The Nuevo folding door offers a flair of design to your room. This vinyl door is a solid single wall panel door with flexible vinyl hinges. This maintenance-free door fits openings from 24 to 36 wide by 80 high. It may be installed as a double door, by using two single doors. Can be used with our folding door lock. Please refer to the via installation videos for help installing. Add the natural beauty and warmth of wood to your home with our solid pine Bi-fold Doors. 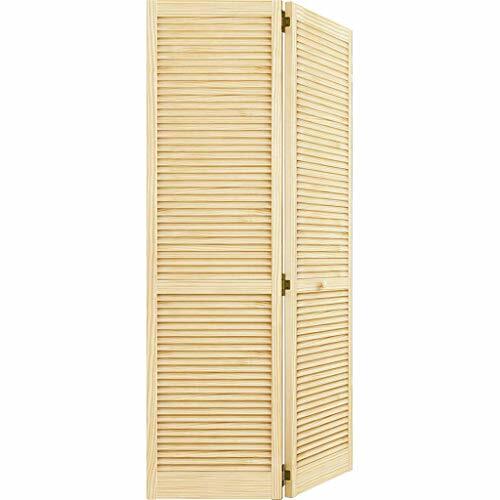 The traditional louver louver design gives the doors a clean, traditional style that will complement any decor. 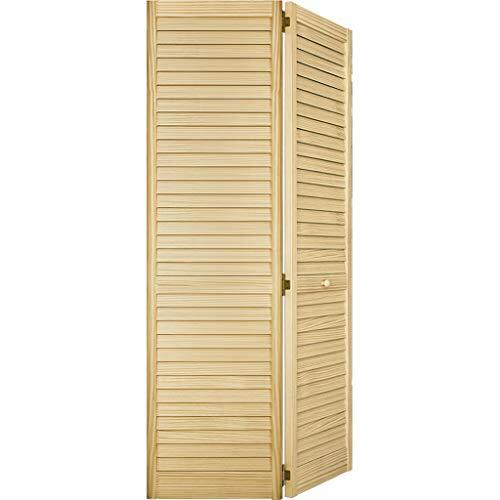 The doors are durable, made of solid Pine and are easy to install (hardware is included). Our bi-fold doors are unfinished and can be painted or stained to match your decor. The high-quality vertical grain delivers the best appearance and performance. Fits openings 24 to 36 inches wide by 80 inches high. Scratch-resistant, clear UV varnish coating. Woodgrain finish. Fits openings up to 36 in. In width and heights to 80 in.